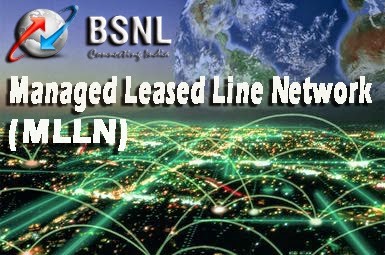 State run telecom operator Bharat Sanchar Nigam Limited (BSNL) has decided to use Coriant’s Products and Solutions to expand its Managed Leased Line Network (MLLN) across India. Coriant is a global supplier of SDN enabled end-to-end transport solutions. BSNL will use Coriant’s 8100 Managed Access System which will further enhance BSNL’s ability to meet the increased and flexible bandwidth needs of its financial services and enterprise customers. It delivers reliable and flexible services without compromising on scalability or manageability for future network growth. The end-to-end organization of connections throughout the entire services lifecycle enables higher network reliability and lowers operating costs. “With a proven history of delivering high-quality networking solutions and world-class service and support, Coriant met all our key requirements for this network expansion initiative,” Shri. M Aruna Kumar also added. “Our 8100 Managed Access System will allow BSNL to continue to deliver reliable broadband services to its customers, while at the same time enable them to expand and seamlessly scale their high-capacity service offerings in a manageable and secure environment,” said Lavanti. The MLLN is the most reliable and profitable part of BSNL business, catering primarily to the financial services industry. BSNL provides MLLN solutions to almost all financial institutions and banks across India. We may hope this network expansion will help BSNL to cater the increasing demand of networking solutions.